*Actual product may differ from image The 52-485-006-0 Fowler Leaf Tapered Thickness Gages-Inch i.. 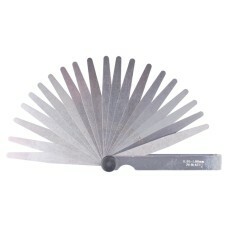 The 52-485-010-0 Fowler Leaf Tapered Thickness Gages-Metric is on sale at Gaging.com! 20 Leaf S..